Alexander Kluge is a gigantic figure in the German cultural landscape. He exemplifies—along with Pasolini—what is most vigorous and original in the European idea of the artist as intellectual, the intellectual as artist….Essential, brilliant. 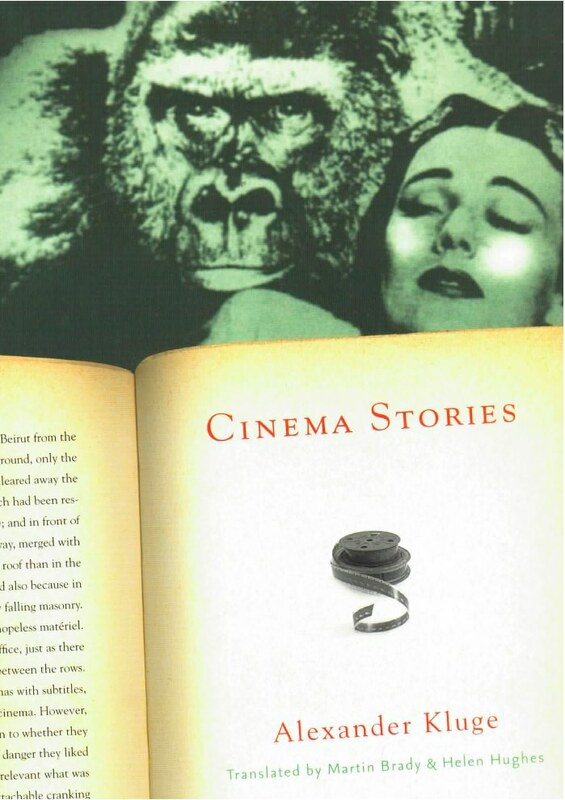 The thirty-eight tales of Cinema Stories combine fact and fiction, and they all revolve around movie-making. The book compresses a lifetime of feeling, thought, and practice: Kluge— considered the father of New German Cinema—is an inventive wellspring of narrative notions. “The power of his prose,” as Small Press noted, “exudes the sort of pregnant richness one might find in the briefest scenarios of unknown films.” Cinema Stories is a treasure box of strikingly original writing cinematic lore. Alexander Kluge, that most enlightened of writers. A bold, galvanizing hybrid of fiction, interview, film theory, German history, scientific inquiry, and his cosmology of cinema.